Every Wednesday, we share a round-up of the latest news from MBA admissions blogs at the top business schools. It’s decision week at several of the top business schools that we cover, including Harvard Business School and Northwestern / Kellogg which released decisions today. We also have an employment report from Chicago Booth and some music to keep you going as you churn out those Round 2 applications. This week, MBA LiveWire is lighting up due to a flurry of activity. 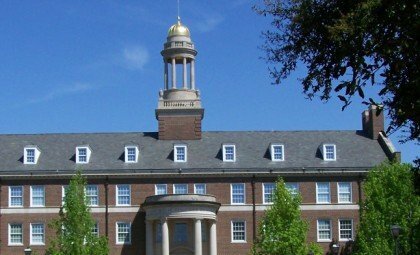 Today alone, HBS, Kellogg, and CMU Tepper have released the bulk of their acceptances. And we’re not even done! Tomorrow and Friday alone we should see results from 13 of the top business schools. Meanwhile at Michigan / Ross, Soojin Kwon excitedly announced that admit calls will be starting today (December 14). She says to “look for a call from area code “734” starting December 14. There are six of us who will be making calls, and hundreds of admit calls to make.“ And, to those of you speculating about the order of the calls (whether they’re by country in alphabetical order or by first and last initials), Kwon noted that there is “no special order, other than trying to accommodate different time zones so we’re not calling you at 6AM.” But, feel free to post first and last initials in MBA LiveWire! Across the pond, Cambridge / Judge’s head of MBA recruitment and admissions Conrad Chua, shared his very own playlist. Initially intended for those second-year students diligently studying for exams, we think this could benefit folks putting together the perfect b-school applications. Also, we listened to the songs and think they’re top notch. That’s all for now! Catch you next time on another MBA Admissions Mashup!